Millions of people around the world turn to to Podcasts to keep things interesting and entertaining. The podcast has practically become the default media platform in educating and entertaining ourselves during our travel, work, downtime, or anytime. As better streaming apps emerge, more and more great content is being produced on a weekly, sometimes daily basis, and podcast popularity has been growing exponentially. So, where to begin? Here are some of our favorites we can’t stop streaming. Leave it to the Brits to create a whip-smart, tightly produced, and highly fascinating 30-minute bit. 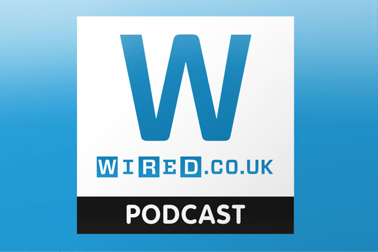 Leaving us feeling superior in relaying podcast-gained knowledge like major tech trend forecasts, new tech devices and more back to our friends, Wired.co.uk Podcast started out in a Conde Nast closet and has since exploded in popularity. Thanks to the hosts, Wired UK editor Nate Lanxon, and associate editor Olivia Solon, their mix of offbeat headlines and in-depth analysis allows for abstract topics like science and technology to feel more palatable and engrossing to a wide audience of more than 20,000 loyal subscribers and counting. Almost every tech publication out there has its own podcast tie-in, but Lifehacker is among the best. Sure, the Lifehacker hosts, editor-in-chief Whitson Gordon and editor Adam Dachis, can go off on tangents, but for a site about productivity, they’ll mostly steer you straight. For those who love the site, the hour-long show covers the best stories from the week along with guests who bring their own expertise to the table. It’s like having a life coach with a penchant for instruction manuals and comparison-shopping. Since its launch in 2011, The Verge has evolved into much more than just a “tech” site. With audiences looking for more than just product reviews, the founders of The Verge and its accompanying podcast – The Vergecast – find stories that straddle the worlds of tech, science and culture. Each episode is hosted by The Verge’s co-founder Joshua Topolsky, managing editor Nilay Patel, and contributing writer Paul Miller. In addition to debating new product launches, they provide insider scoops, chat with callers, and ponder the utter perfection of peanut butter and jelly as one of humankind’s greatest advancements. As much as we love podcasts for condensing all the news and brain-building stories of the week, it’s also nice to get a healthy dose of comedy. 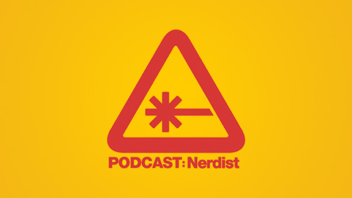 Podcaster extraordinaire, TV host, and nerd mogul Chris Hardwick hosts the popular Nerdist podcast alongside comedians Matt Mira and Jonah Ray. The skilled interviewer grills everyone from Hollywood A-listers to comedians, screenwriters, adult film stars, musicians, and others who consider themselves to be professional nerds. You can listen to all of these shows at home with the Logitech Bluetooth Speakers Z600. Combining stereo sound with compact design and wireless versatility, they’re the perfect accessory to any office or home setup. Designed for the multi-device generation, you can easily switch from streaming audio on tablets, computers and smartphones by simply pausing one device and playing the other. For listeners who prefer the sound of their podcast hosts to their fellow commuters, opt for the UE 900 Earphones. Crafted by the same team who design our pro earphones for sound engineers, these noise-cancelling earphones come with eight pairs of specially designed ear cushions for a customized fit. While on-cord controls make for a hands-free experience while listening at the gym or commuting home. Did we leave out any of your favorite podcasts you can’t help but switch on? Share them in the comments!